Age spots, fine lines, wrinkles? While some will tell you that it’s all a part of growing old, there are ways you can break the pattern and maintain a youthful glow well into your older years. Wondering how to do it? Follow these 10 steps from the experts. 1.Wash– Washing your face two times in a day will help remove dirt and filth to reduce skin damage, as well as help maintain the right moisture balance to keep the skin aptly nourished. Wash once in the morning and once before bed for optimum skin health and cleanliness. 2. Hydrate – When sapped of hydration, skin will crack and give way to fine lines and wrinkles. Keeping it hydrated with a powerful moisturizer will prevent wrinkles from forming and assist in the repair of damaged cells. It also pays to drink ample amounts of water to maintain the proper level of hydration from within. 3. Exfoliate – Dark spots and age spots appear like discolored patches of skin. They can be unsightly and difficult to conceal, even with high coverage make up products. A gentle exfoliating facial scrub will work away impurities and deep seated dirt to make way for a flawless, even-toned glow. 4. Target Problem Areas – For aging skin, the areas around the eyes are the most problematic. Many of those who seem to defy aging claim that the secret lies in using an eye care product that is so effective, that crow’s feet aren’t given a chance to develop. 5. Protect – Older skin is more prone to sun damage because it’s thinner and less efficient. Using SPF lotion before stepping out into the sun will reduce the damage caused by harmful sunlight and UV rays. 6. Eat Right – Nourishing your skin with the right food will help maintain its youthful glow. Aside from avoiding fatty, unhealthy food, taking supplements for your skin will help nourish it from within. 7. Massage – Wrinkles often develop in areas that are constantly folded or creased when smiling, laughing, or talking. Massaging the face with a mild, organic oil or lotion will help soothe the muscles and prevent the development of wrinkles. 8. Avoid Stress – According to research, stress can significantly affect the rate at which a person develops signs of aging on their skin. Avoiding stress and maintain a positive outlook will help reduce wrinkles and fine lines, as well as encourage a healthy, youthful radiance. 9. Reduce Bad Habits – Smoking and alcohol consumption can weaken skin cells and make them prone to damage. Reducing these habits will bring back the skin’s natural strength and elasticity to make it more capable of coping with different environmental factors. 10. Invest in Organic – Check your bathroom for the kind of skincare products you use. Avoid using chemical-based formulations that might further damage skin. Instead, invest in organic and natural products to eliminate side-effects and improve effectiveness. Your skin will age only if you allow it to. 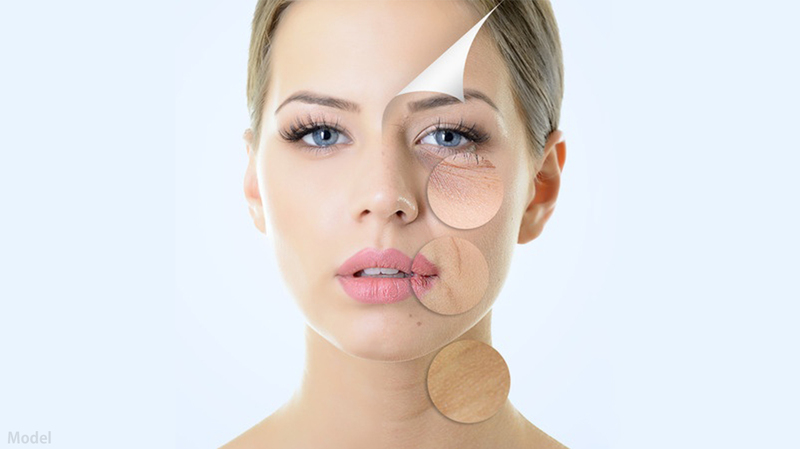 Now the question is – are you going to let the signs of aging bring you down and control the way you look? Follow these 10 simple steps to bring out the best in your skin – no matter what your age might be.